Take back control of your relationship with food! My name is Anne Sferlazza, and I am a Registered Dietitian Nutritionist (RDN). As a dietitian, I understand that the key to true health is finding balance. Whether you have a medical condition that requires dietary adjustments, or you simply want to be a healthier you, I will help you navigate today's often overwhelming and confusing food "noise". Together we will pinpoint your dietary and lifestyle goals, and create a simple and realistic approach to help you reach them. My goal as your Dietitian is to empower you to make small but meaningful changes that will improve your health, lifestyle and relationship with food. Freedom from restrictive diets: Together we will develop a plan that incorporates all the foods you love in a guilt-free way. No fad diets. No deprivation. Nothing complicated. 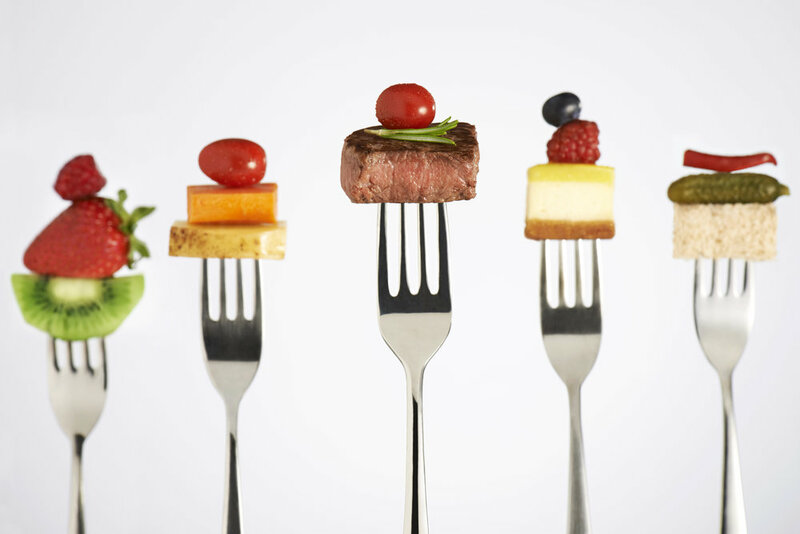 Eliminating confusion: Today's "diet" culture can be confusing and counterproductive. Even diets for serious medical issues can be simplified and maintainable. Tackling underlying causes: Too often in healthcare, the focus is entirely on treatment of symptoms without the careful review of all factors. We will review and treat any underlying causes getting in the way of your goals. Personalized plans: We will address your preferences, your medical needs and any other considerations that must be taken into account for long-term success. Unlocking motivation: The key to sustained motivation is focusing on your body, mind and lifestyle needs in a real and honest way. Intuitive eating: The term "Intuitive eating" may sound a little out-there, but really it is learning to eat the way our bodies are designed to. It is relearning to listen to hunger and satiety cues, letting go of self-imposed restrictions, understanding cravings, and addressing other factors (emotions, thoughts, habits) that contribute to over-eating or poor food choices. This approach can also be incorporated into medically-necessary diets successfully. Most importantly, it is about enjoying your food! Hooray! Providing you with the tools that will help you not only achieve your health goals in the short-term, but with an eye on long-term health and happiness. Acting as a partner, not the food police: My services are judgement-free, collaborative, and focus on what YOU need to find satiety and satisfaction in a healthy diet and lifestyle. Do you want to take back control of your eating? Do you want to make peace with your weight? Do you want to stop obsessing over your food choices, good or bad, and put your energy back into the things you truly enjoy in life? If you answered yes to these questions, than you are ready to begin your journey back to Intuitive Eating. We are all born as intuitive eaters, but years of internal (self-imposed) and external (family, friends, media, etc) messages to fit into our culture’s idea of “health” and perfection cause us to stray away from trusting our bodies and hunger in search of unattainable goals. The result? Yo-yo weight changes, self-loathing, stigma, health problems… just to start. We will take time to get to the root of your past issues, work on rediscovering your inner-intuitive eater, and get you on the path to a life free of dieting despair! Questions? Call or email today to schedule a FREE 15-minute phone consultation! Curious how dietitians really eat?? HINT: It’s not all quinoa and avocados! Read my BLOG and follow me on INSTAGRAM (heres_to_food_rd) and FACEBOOK (@herestofood) for tips and insight into how I approach health and nutrition in my own family.